To confirm the snippet is working, hover over a published Amazon, Google Play, Microsoft Store, or iTunes link on your site, and it will display buy.geni.us as the destination instead of the original iTunes, Google Play, Microsoft Store or Amazon link. 1. 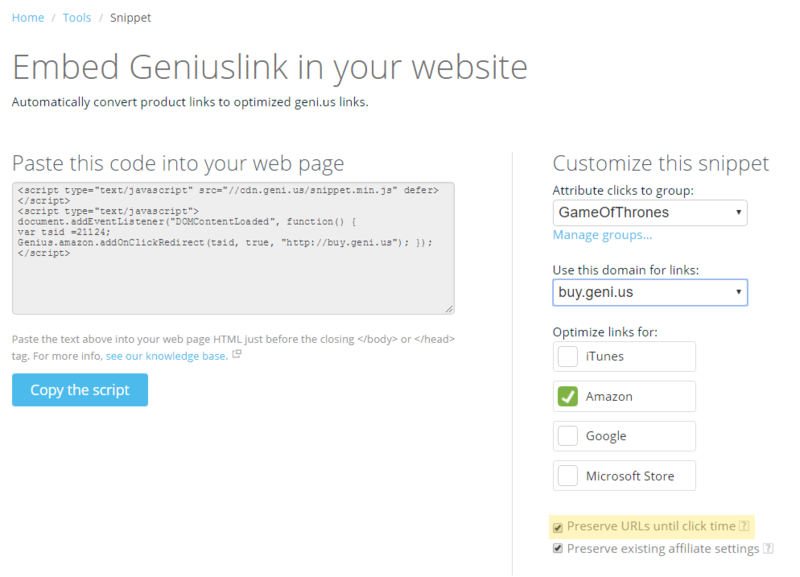 Navigate to the Tools tab within your Geniuslink Account. 3. Once here, select the Group where you would like the clicks to be recorded. 5. 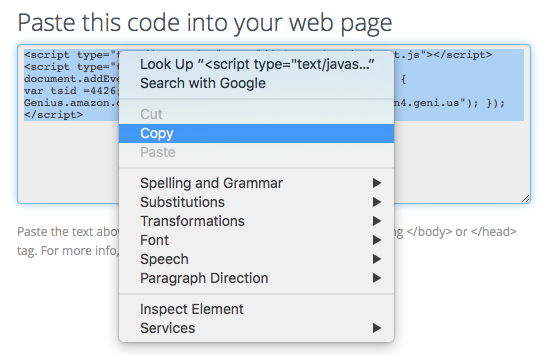 Next, select which type of links you would like to translate. 6. Leave the Preserve existing affiliate settings checkbox UNCHECKED unless you have Amazon links with existing affiliate parameters already on your site, and do NOT want to overwrite them with the Affiliate parameters that you have entered into your Geniuslink Account. 7. Check the Preserve URLs until click time checkbox if you want your links to remain unconverted when the page loads, and only localize once a user clicks your links. 9. Once it is placed within the header, all of the Amazon Google Play, Microsoft Store, and/or iTunes links within your website will automatically be converted to buy.geni.us links as soon as the page loads. Check out our easy to implement Amazon Link Engine and iTunes Link Engine plugins.